Bobrow-Strain is not a historian, but rather an Associate Professor of Politics at Whitman College, and he holds a Ph.D. in Geography and other degrees in Latin American Studies International Studies. White bread–or to be more specific, raised loaves made of refined wheat flour–has a much longer and more interesting early American history, and one that marries well with Bobrow-Strain’s arguments about white bread and racial purity. Historians Martha Finch and Trudy Eden have argued about how belief in the humoral body and its vulnerability to its environment heightened English colonial anxieties about how the New World might affect English bodies, and Eden and scientist Heather Trigg have argued that food was a powerful symbol of cultural and class identity. Their work demonstrates that English and Spanish colonists alike had particular affinities for wheat bread (versus Indian corn bread or tortillas) because they saw food as powerfully expressive of their ethnic identities and/or harbored anxieties about eating New World native foods and how they might change their bodies and identities. Anxieties about food security, ethnic identity, and the possibility of racial mutability were not just intellectual curiosities, but rather as historians Virginia DeJohn Anderson and Katherine A. Grandjean have demonstrated, they were frequently powerful inducements to initiate violent conflict between English colonists and their Indian neighbors. So based on my review of the following bibliography of the history of food in America, I would argue that white bread was always about racial purity and integrity, from the first imported wheat grown and ground into flour. Trudy Eden, “Food, Assimilation, and the Malleability of the Human Body in Early Virginia,” in A Centre of Wonders: The Body in Early America, eds. Janet Moore Lindman and Michele Lise Tarter (Philadelphia: University of Pennsylvania Press, 2001), 29-42. Martha L. Finch, “‘Civilized’ Bodies and the ‘Savage’ Environment of Early New Plymouth,” in A Centre of Wonders, 43-60. Rachel B. Herrmann, “The ‘tragicall historie’: Cannibalism and Abundance in Colonial Jamestowne,” William and Mary Quarterly 68:1 (2011), 47-74. Katherine A. Grandjean, “New World Tempests: Environment, Scarcity, and the Coming of the Pequot War,” William and Mary Quarterly 68:1 (2011), 75-100. James E. McWilliams, “‘To Forward Well-Flavored Productions’: The Kitchen Garden in Early New England,” New England Quarterly (March 2004) 77:1, 25-50. Heather Trigg, “Food Choice and Social Identity in Early Colonial New Mexico,” Journal of the Southwest 46:2 (2004), 223-252. I’ve never seen the whiteness of bread connected with racial factors. It’s always been class, but of course race blends right into that. Interesting. Biological note: grains stored in cold damp conditions will grow a poisonous fungus called ergot. It causes vascular and neurological damage besides being a hallucinogen. It’s the cause of St. Vitus dance, and could result in loss of limbs and death. In other words, a major problem. In medieval Europe, sometimes whole villages, when their grain stores were infected, would succumb. Of course, nobody knew the cause so demons, witches, etc., were blamed. Rye, which makes a darker flour than wheat, is more susceptible than wheat. The fungi are dark brown and if ground with the grain (wheat or other) would make the flour darker. White wheat flour was expensive and only available to upper classes, so desirable on that basis alone. But people did also notice that it was “purer” and less likely to be a conduit for those terrible demons and witches. So, short form, there are some small factual roots to the virtues of white flour, if you go to a different time and place. Yes, and somewhere in time “whitebread” became a mild pejorative. Discuss. It is perhaps worth noting, in recognition of the 100th anniversary of Captain Scott killing his men on an ill-devised walk to the South Pole, that the white wheat flour and baking soda used to make their biscuits contributed to their troubles. Amundsen–who did not lead his men to their deaths–made many good decisions, including provisioning whole grains and yeast. Also, Amundsen’s pemmican contained oats and peas while Scott’s was meat and fat only. His men got a lot more thiamine than did Scott’s. Vitamin C was a big deal too, of course, and less overall reliance on canned foods (though plenty of fruit) together with undercooking fresh meat made a difference there. I’ve always thought of this as an especially New England thing, where (perhaps because of proximity to French colonial terrain which throws ethnic or religious factors into the mix) the anxiety to perform Englishness down to the last crumb on the wooden plate was highest. I wonder if anyone has thought about this phenomenon in connection with the “bread” colonies of the British Middle Atlantic or other places in the “New World”? Or how these biases may have played out in martial contexts, such as the provisions crises that strained the armies of the American and French Revolutions? There is a literature out there about the hungry years of the French Revolution, especially 1794-1795, when *both* northwestern France and Southern England were rocked by sustained and extensive popular violence over grain shortages and resulting dietary consequences. In Britain, at least, these years saw a bitter political crisis over government efforts to get people to accept mixed breads that would involve the mixture of darker flours into the white stuff and in the process stretch very limited supplies. Some bakers were apparently even mixing non-nutritional white hair powders into their bowls to try to satisfy the demand for white breads. I don’t have the citations at hand, but these debates intersected with and overlaid ongoing disputes between Burkean/Pittite conservatives and their putatively “Jacobin” adversaries, and penetrated deeply into literary discourses in interesting ways. Meanwhile, out on the Atlantic, a brutal proxy naval war was raging over the transport of foodstuffs from American and the rights of “neutral” commerce. modern discourse, in the “foodie” revolution of late years, “balloon” bread has become a dismissive term for what folks will just have to eat who can’t (or won’t) make the “artisanal” turn. As a New England divine once said, what goes around just keeps on going around. I remember in Heidi when they thought if they could just get white bread to the grandma she’d be ok.
Food is still a class division. Just look at food served in neighborhood restaurants, in case they survive chain encroachment, and more fancy restaurants. The food is different, the cost is different and the customers belong to different social classes. Levels of obesity in poorer population is typically higher than in richer population. One reason the lesser use of wheat products by richer people. Even when richer people use wheat products they tend to buy “fancy” breads that are by and large whole wheat or multi-grained. White wheat was used several hundreds years back in Italy for bread baking. Some of these breads are still available. We know that the wheat didn’t change since old time bakeries have starters that go back centuries. Thanks for the bibliography. It will help my students with their Where Does the Food Come From research projects. That sounds like an interesting book to suggest to my modernist colleagues for their share of the library budget. Going back earlier, there’s a great deal of scholarship on bread and what it signified in medieval and early modern history. 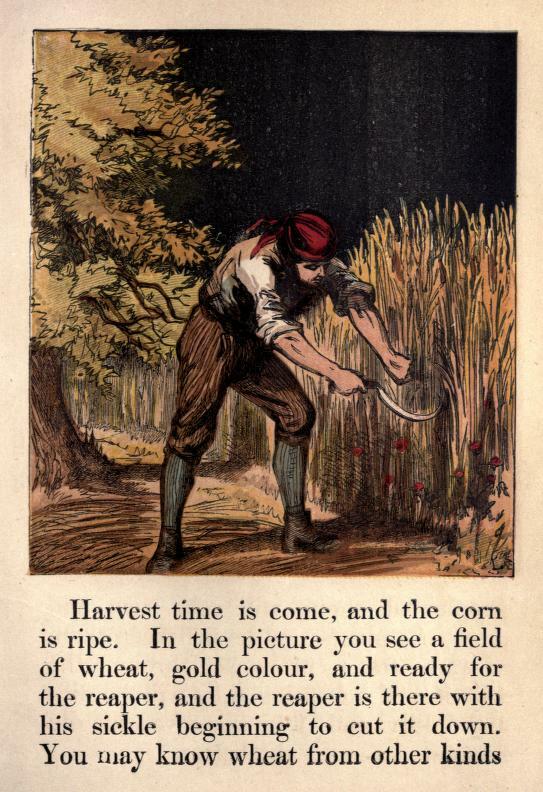 This online resource written by Vickie L. Ziegler bridges the gap nicely between American and European traditions: The Flower of Wheat: Bread in the Middle Ages and Colonial Era. Hoboy, doesn’t this open up a huge can of worms, or should I say make for some delicious rye toast. Class/race factors in food go back eons, whether that be Norman penetration of Britain (See Kappelle, The Norman Conquest of the North), or the contrast in early modern Europe of a Dark Bread/Porridge/Beer/Vegetable Soup diet with the Meat/Dairy/Poultry/Dairy/Wine diet of the upper classes, or the revulsion of the British upper classes to the potato as a staple food in the 19th century. DELIGHTED to see this applied to the 20th century. You would think with America having great amounts of intellect that we could focus on job creation, real unity within the community ,ect. See the Wife of Bath? I regret to say, from the Norton Anthology of English Lit). Pure wheat vs. barley bread is not exactly white vs. brown, but certainly the Wife is contrasting the refined nature of some breads against the earthier refreshment of barley bread in her metaphor. Indyanna, you’re right that the fear/loathing of Indian foods is more of a New England and Virginia thing than a middle colonies thing, but that’s because NE and VA had a 50-70 year head start on founding New World settlements. By the time the English made their way into NJ and PA, other Swedish, Dutch, and English colonists had proven unto the third generation that samp, johnnycake, venison, and squashes wouldn’t de-Europeanize their bodies, and in fact were life-sustaining and healthful. I love the older English precedents about the connections between class & the refinement of flour/breads. And now, it’s time for me to go make a slice of toast (whole-grain, of course)–so I can eat my bread and think about it too. That’s a very interesting hypothesis, Historiann, about the Middle settlements having been in effect innoculated against white bread fever by the prior experiences of their neighbors to the north and south. But I wonder if this isn’t also another example of Pennsylvania having been “Lemonized” as an exemplar of a place where individualist self-maximizing economic behavior has treated breadstuff production as an inherently economic subject, with the cultural implications of ingestion being thereby obscured. (Another version of 17th v. 18th century generalizations). Maybe there’s behavior out there around the edges between different ethnic communities that would illuminate some of these discussions. Food history is still in its relatively formative stages for early America, comparatively. When I get back on my other “pile” for spring break next week I’ll post, if I may, a few titles on the fight over Englishmen’s rights to eat light breads in the 1790s. If memory serves, I think William Blake got in on this one, as he did on so many other issues. This has been a fascinating post. Jeffery M. Pilcher, Que Vivan Los Tamales: Food and the Making of Mexican Identity. Albuquerque: UNM Press, 1998. I’m pretty sure there were bread distinctions in 19th-century America as well. There are some very detailed descriptions in abolitionist literature of how slaves make ash-pones, and occasionally other corn concoctions (mostly gruel or a similar grain/water mix). I’m not sure what the master class was eating. I suspect both wheat and corn breads, but the corn bread was probably more likely to be a variety that required eggs and/or milk and/or fat of some kind and/or leavening (the point of the abolitionist descriptions is usually to emphasize the poverty of the provisions supplied by the master: corn, water, possibly a small amount of salt and/or sweetening (but quite possibly not, unless the slave had something to trade), a bit of pork or fish). I’m also not sure what northern readers of abolitionist works would have been eating, but the descriptions of ash-pone making definitely give the sense that this process is something exotic, unlikely to be familiar to readers. Cheap bread here in Ghana is usually white and too close to Wonderbread for my tastes. As a result I don’t eat a lot of it. Rather I eat a lot more rice, cassava, and plantains. Most current staples here such as cassava, plantains, maize, and peppers came from the Americas via the Portuguese. But, food is definitely associated with ethnicity here. Fufu is Akan, kenkey is Ga, and banku is Ewe. You are evidently not supposed to mix them and some people will not eat foods not associated with their ethnic groups. I got some strange looks once at a buffet combining okra stew with fufu rather than banku with okra stew. I told them I was creating a pan-African dish in honor of Nkrumah. Thanks, everyone–more great cross-cultural intel about the cultural value of different grains & starches! I think there’s lots more to be said about the American SW/el Norte too, but I’d have to start reading Espanol in order to dig it out myself. I don’t recall the early French colonists having as much of a hangup about food, but then the records we have are overwhelmingly from Church and official sources rather than letters or comments from the hoi polloi. Those French men who sought Native wives were pretty happy to have their meals farmed and furnished for them, and French religious (women and men) enjoyed eating what they found objectively disgusting (Indian prepared food, in particular) because it was a further mortification not to take pleasure in one’s food. As promised upthread, a few additional contributions to Historiann’s fascinating bibliography on early modern food and culture (as well as the cites in the thread itself)–in this case on Britain during the wars of the French Revolution: Samantha Webb, ” ‘Not so pleasant to the taste’: Coleridge in Bristol during the mixed bread campaign of 1795,” _Romanticism_, 12.1 (2006), 5-14; Roger Wells, _Wretched Faces: Famine in Wartime England, 1793-1801_, chap. 12, “Dietary Expedients and Vested Interests: Recommendation Versus Compulsion, June 1795 to July 1800,” (Gloucester, 1988),pp. 203-218); and (not read, but cited in Webb and directly related to bread composition as “associat[ed] with Englishness”), Sandra Sherman, _Imagining Poverty: Quantification and the Decline of Paternalism_ (Columbus, OH, 2001), chap. 2. Less relevant, but bringing William Blake into the picture: “Blake, the Famine of 1795, and the Economics of Vision,” _European Romantic Review_, 18 (2007), 597-622. There’s a vast liturature on food rioting in Britain associated with these events, which Wells probably summarizes as well as anyone, and a vaster one on concurrent events in France, perhaps best summarized by Judith A. Miller, “Politics and Urban Provisioning Crises: Bakers, Police, and Parlements in France, 1750-1793,” _Journal of Modern History_, 64 (1992), 227-262. Stephen Nissenbaum’s book _Sex, Diet, and Debility in Jacksonian America: Sylvester Graham and Health Reform_ has a lot about white bread. Nissenbaum looks particularly at Graham’s fear that bread made in commercial, esp. urban, bakeries was not only physically adulterated, by lacked spiritually nourishing qualities that came from bread baked in family hearths. Nissenbaum connects this to anxieties about the market revolution and the transition to an increasingly urban and industrial society. Haven’t read it since my exams, but liked it pretty well. woops — should read: “but also” rather than “by” in the fourth line. Thanks, Old Whig–I had forgotten about his earlier work. I posted a few years’ back about a trip to Battle Creek, “the San,” Graham, Kellogg, and the Whites. I think the SDA folks do a nice job with their public history sites.